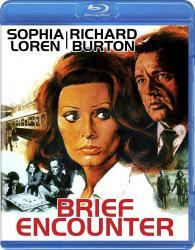 Starring: Richard Burton, Sophia Loren, Jack Hedley, Rosemary Leach, and John Le Mesurier. When doctor Alec Harvey (Richard Burton) helps Anna Jesson (Sophia Loren) get something out of her eye on a train platform, neither suspects they are initiating an affair. Both are married with children and believe their impulse to meet again is completely innocent. But one meeting leads to several, and soon their mutual attraction becomes undeniable. They attempt an unsuccessful tryst in a friend's apartment and, increasingly scared of being discovered, decide to call it off.